Well another CRSSD Festival is in the books and it certainly shows no signs of slowing down, after an entire sold out weekend including the after parties. 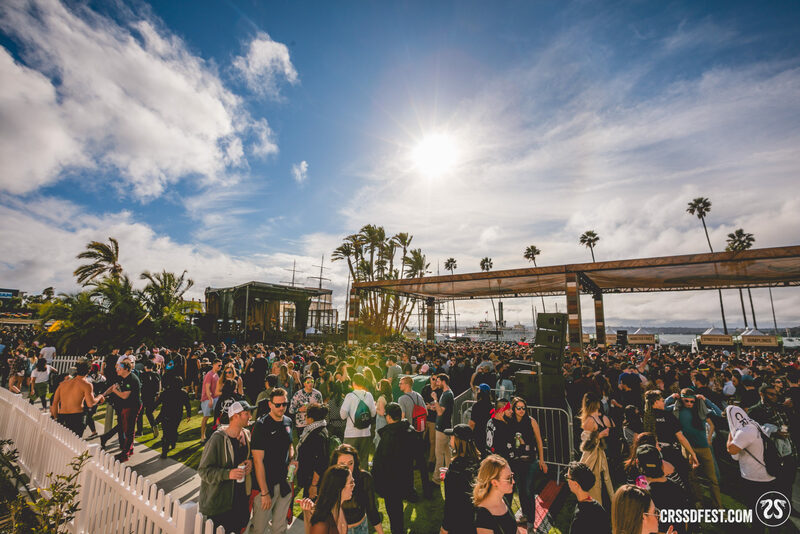 Though the weather was relatively mild this weekend (60s in San Diego isn’t quite what we had in mind) with a touch of rain, festival-goers were as happy as ever, raging to House and Techno from day to night. It’s always a pleasure to see and interact with a well-educated crowd and you can’t help but feel connected to an audience that doesn’t need cheap thrills to enjoy themselves – all it takes is a juicy 4×4 beat and a smiling DJ on stage. This was my fourth year in a row covering CRSSD and overall not much has changed over the years, which is a good thing. With the exception of long lines to enter the festival (express entry is totally worth the money), a main stage that never seems to reach its loudness potential, and expensive drinks, there’s a good reason CRSSD keeps my crew and I coming back year after year. It’s all about the music. While on paper I personally didn’t think the lineup for Spring 2018 was as strong as years past (hey what can I say, CRSSD has set the bar high), there was no shortage of world-class talent spread across the three stages. I found myself spending lots of time at the City Steps stage which, for the most part, featured fantastic Techno artists. I’m talking about guys and girls like Mark Knight, Anna, Alan Fitzpatrick, Sasha, Cirez D, Cristoph, and many more. While it’s hard to pick favorites, the highlight of Saturday for me was easily Mark Knight. This guy is a total legend and a class act, absolutely murdering the decks over the course of his 60-minute set. Mark Knight’s own remix of Kelly Clarkson’s “Love So Soft”, co-produced with Ben Remember, had the crowd moving in a frenzy and even had the security guards at the front dancing the day away. And in true veteran fashion Mark Knight closed his set with his legendary track “Man With The Red Face”, jumping up on the speakers to play some air sax. After the set ended, Mark thanked fans by shaking hands and taking selfies with lucky folks in the front row. When I wasn’t doing my Techno shuffle at the City Steps stage, you’d likely find me over at the Palms which traditionally plays home to House music. I had a blast listening to sets by Lee Burridge, Tiga, and Shiba San on Saturday. Shiba probably stole the show at the Palms on Saturday, pumping out his brand of Tech-House and playing crowd favorites like “OKAY” (mashed up with the vocals from KRS One’s “Step Into a World”) and Fisher’s new track “Crowd Control”. Tiga was a close second and kept teasing “Bugatti” until he finally dropped it mid-set to an ecstatic crowd. Other highlights from the Palms included Walker & Royce, who have clearly blown up and with a strong following (somebody help me find the Trap remix they played of Fisher’s “Ya Kiddin”! ), Weiss, Kyle Watson (debut U.S. tour), and Malaa. I hadn’t had a chance to see Malaa previously but the masked wonder threw down a fantastic House set that closed out the weekend perfectly. When I did finally make it to the main stage I caught sets by Bonobo Live, featuring a wild drum solo, Tchami, Empire of the Sun, and conducted a great interview with the Presets (more on that later). Overall a great weekend and amazing experience had by all. Thanks so much again to the CRSSD staff and volunteers, the artists for doing what they do best, and Infamous PR for granting us the access to cover the festival again. If you have the chance to make it to CRSSD, whether you live in San Diego or anywhere around the world, make sure you get it on your calendars for the next edition. Watch/Listen to Ultra Music Festival Right Here on MMIBTY!